Getting braces as an adult can be a hard decision to make. While it may seem like getting braces could negatively affect your confidence and self-esteem. In reality, getting adult braces can actually improve your confidence and self-esteem! Here at True Dental, we’ve helped many patients achieve their dream smile. 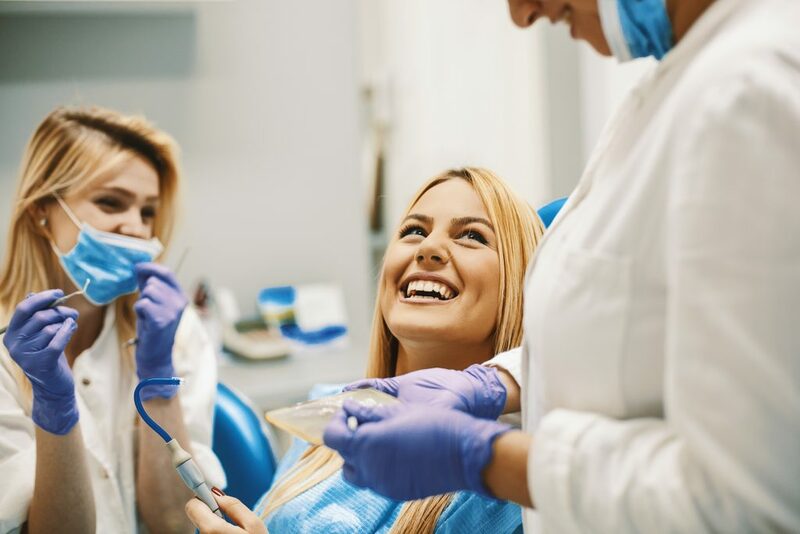 After having their teeth straightened or dental issues fixed, many patients say they feel more confident. Orthodontic treatment can help with teeth alignment and bite correction. If left untreated, poorly aligned teeth and uncorrected bites can lead to jaw pain, gum disease, bruxism (grinding of the teeth), and headaches. We know having that perfectly aligned smile can be something to look forward to, but is having braces as an adult worth it? At True Dental, we understand that adult braces may seem daunting. But if you’re unhappy with your smile, we believe getting braces is worth it and doesn’t have to dampen your confidence or self-esteem at all! One of the main reasons patients consider orthodontic treatments like braces is because they have poorly aligned teeth. When teeth are poorly aligned, they may be harder to clean and can lead to more serious issues like cavities and gum disease. Your gums and teeth are healthier when they’re straight because it’s easier to get between them with floss. Straight teeth are also less likely to get fractured or cracked if you’re involved in physical sports. If you have an irregular or projecting tooth, there may be a greater risk for a painful (and potentially expensive) tooth injury. These issues can dampen your self-confidence. Getting braces can help you look your best and prevent more serious oral health issues. When you think braces for adults, you may first envision the traditional metal braces. While these are certainly an option, here at True Dental we have many orthodontic options to choose from. If you’re interested in getting your braces on and off sooner than traditional techniques, Fastbraces® may be for you. Fastbraces® rely on new techniques to transform smiles in usually half the time that traditional braces take. Many people feel self-conscious about wearing braces, and this option has proved to be a welcome plan for those who qualify. We also offer orthodontics using Invisalign. Invisalign are clear braces that are barely even noticeable. If you’re concerned with how braces may look, Invisalign may be a great option for you. Remember, braces are temporary and having a beautiful smile is something you’ll be able to look forward to while undergoing your orthodontic treatment. Think of how you’ll look and feel once you’ve achieved the smile you’ve been dreaming of. You’ll have a better bite that leads to better oral health and straighter teeth. This is an investment in your confidence and your health. Many patients have expressed their improved oral health and increased self-esteem after having adult dental braces. If you’re concerned about your smile and are wondering, “should I get adult braces?” the answer is “yes!”. Come talk to us at True Dental and we’ll help you find the best solution for your individual orthodontic needs. Contact us at True Dental Today!